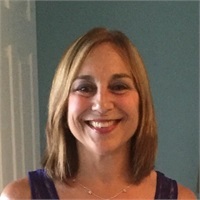 Meryl Feinstein joined The Epstein Company in October 2018 as Office and Operations Manager. Meryl had a substantial career as a Director Level Business / Systems Analyst for more than thirty years with First Data Corporation, responsible for 24 x 7 problem resolution and business relationship management for domestic and internationals clients. In addition, Meryl has over ten years of business and personal tax preparation experience using Ultra Tax software, including being licensed from H&R Block ITC Tax Education Council (CTEC) and an active Preparer Tax Identification Number (PTIN). Her other academic study and work certifications include Advanced Microsoft Excel for Data Modeling, Simulation, and Forecasting, in combination with Project Management and Collaboration Tools. After leaving FDC, Meryl looked for opportunities to utilize her business management experience as well as her financial, organization, and analytical skills. After meeting Barry Epstein, it became apparent that working at The Epstein Company was the perfect match. Meryl is excited about the opportunity to run the company's internal operation, servicing both potential and existing clients. Not practicing on behalf of MML Investors Services, LLC.